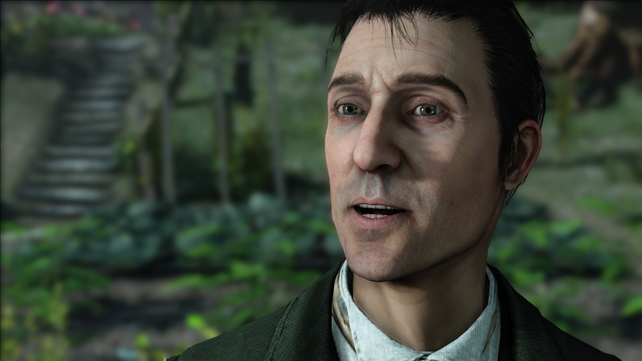 Frogwares Games have been turning the adventures of Sherlock Holmes into interactive adventures for some time now, with six so far appearing mainly on the PC, but a couple venturing to the Xbox 360 and PS3. Crimes & Punishments is the latest game in the series and the first to use the Unreal Engine instead of an in-house system, as well as bringing the famous detective to the PlayStation 4 and Xbox One. Is it a game you should investigate? 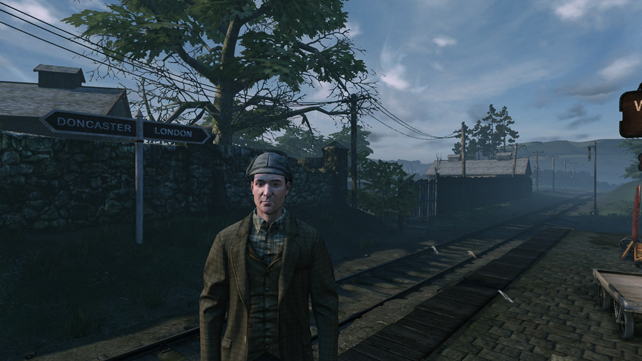 Sherlock Holmes: Crimes & Punishments isn’t my usual sort of game. Or so I thought. I’ve never really looked at this 3D exploration/clue solving genre and thought it would be something that would appeal. Weird considering how much I like the Broken Sword series. However, when I saw the trailers start appearing for this it looked different enough that it piqued my interest, and I figured it was time to dive in. The idea is simple – you play as Sherlock Holmes and are tasked with solving 6 different cases over the course of the game. 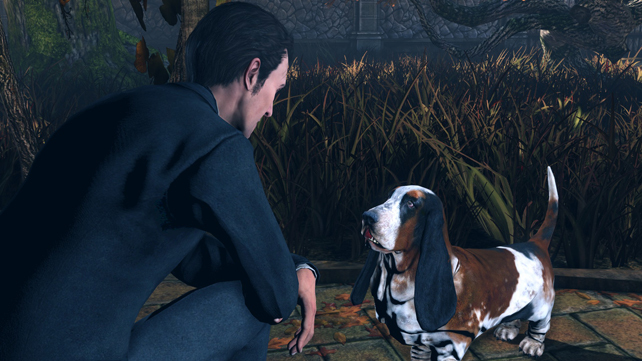 Aiding you is your trusty companion Dr. Watson, a street urchin called Wiggins, the ever present Inspector Lestrade, and even Toby your long suffering beagle. It’s clear that the developers have built up a comfortable familiarity with the characters and environments, and in a title that relies heavily on exposition, and is not a fast paced twitch shooter, it comes across in the writing, acting and most importantly, the execution. This is Sherlock and Watson in their traditional setting – 221B Baker Street in Victorian London, investigating robbery and murder when the local constabulary are stumped. It’s also well thought out and engaging from beginning to end, even managing to throw in a couple of surprises when you think you’ve got things worked out. Each case in Crimes & Punishments starts in earnest after a cinematic introduction and has you examining crime scenes for clues, talking to witnesses to understand the events that have transpired, and performing experiments to gather evidence. All your actions are recorded in your journal which can be referenced at any time to recap what you’ve seen and heard, as well as give you pointers to what might have to happen to progress the investigation. 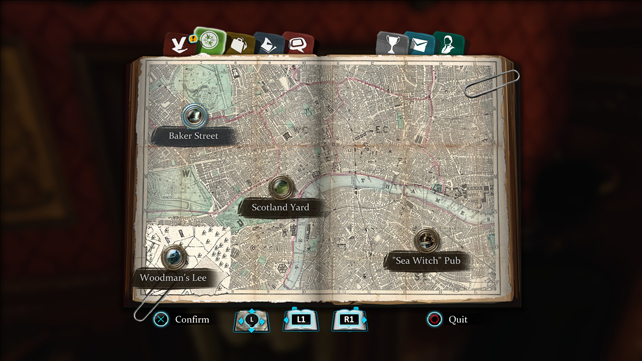 If you keep checking it you’ll never be stuck for what to do, and the game gives you ample time to consult it as you’re being ferried around London by horse and carriage – a strangely relaxing experience. 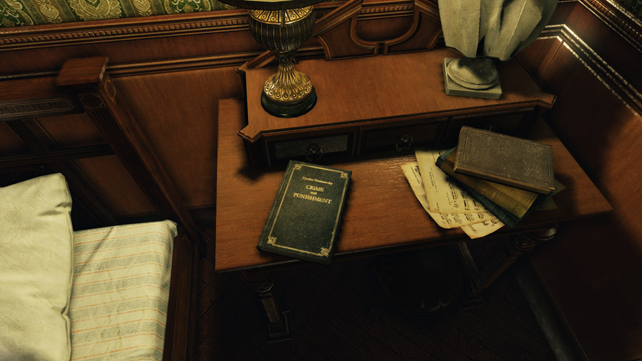 At the crimes scenes your “Holmes-sense” (it’s not really called that, but it’s what it amounts to) can be used to pick out unusual or out-of-place details, and there’s an “imagination” option (and it is called that) which allows the reconstruction of specific events. The detailed environments are rich and well realised, with navigating through them and finding clues being pretty straightforward without the need to telegraph every interactive item on the screen by making it flash. The devs assume you’re wanting a challenge as Sherlock Holmes so they haven’t made everything obvious. The investigative aspects run from simple examination of items, on to chemical analysis of liquids and compounds, and through to the recreation of criminal activity. Each is presented as a mini-game and very rarely repeats itself, something of a nice surprise. Getting information out of suspects and witnesses is a case of questioning with the right knowledge first, whether that’s gained from other people, objects, or the person themselves. Each time you interrogate someone you have the option to pause the action, look over them and create a character profile which can be used to pick holes in answers that don’t sound quite right. If you don’t do this then you’ll likely miss a conversation option, though not necessarily a vital clue, but it might mean you form the wrong opinion of the character. 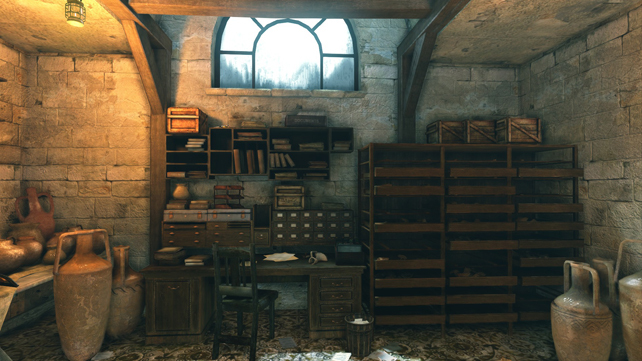 Every useful clue uncovered is stored in the “deduction space” which allows Holmes to link information together and form a theory on what’s happened. Clues can link multiple times depending on what you’re trying to construct, and once the deductions are in place they can start helping form the basis on an accusation that will finger the guilty party. Nicely woven into this is the fact that there will be multiple suspects in every case, so that means you have to pay attention and really be sure about who you pick and why. Clues are the key to having all the facts and making the right deductions, if you miss a couple you could end up not having enough evidence to confront the real killer, and only conclude the case by convicting an innocent party. Though it doesn’t have to be like that… You’ve a moral choice to make before talking to your chosen suspect. Do you report them to the police and most likely watch them hang? Or do you take matters into your own hands and be compassionate in your response? Throughout Crimes & Punishments I usually made the right choices on the suspects, mainly because I was methodical in collecting evidence and making sure I’d covered every angle. The time I picked the wrong person and sent an innocent man to the gallows had quite an impact because I was convinced I’d got the right man – but I’d missed a clue that stopped me from making any further deductions and left me with only one option for solving the case. My reasoning was right, I just wasn’t able to select the right culprit. This is a double-edged sword: I like it because it makes you evaluate everything and still leaves the final decision up to you; I don’t like it because it feels restrictive and artificial when you know you’ve missed something and you’ve got to pick something that doesn’t sit right in your gut. If the intention is to make you live with your decisions then it works up to a point. You do have the option to reassess the evidence and select a different outcome, which feels a little like cheating once you’ve got to the end of a case, even if the option is a nice one to see. Music throughout the game is very well done, and the ambient sounds help blend you into the time period, though some are a little on the loud side and can drown out the dialogue in certain places. There is a fair amount of loading to contend with too. The transition to each location as a carriage ride is really good, I just couldn’t help thinking that the loading should have happened in those segments instead of bookending them. It’s not that it’s a real issue, you just notice it more when things are slower paced. You’ll see quite a bit of screentear too, which I thought would disappear when moving to new generations with the Unreal Engine. Unfortunately not. There’s also a bit of lag when transitioning between scenes and mini-games that had me wildly spinning the camera because I tried to do something before the game was ready. Again, not the end of the world. 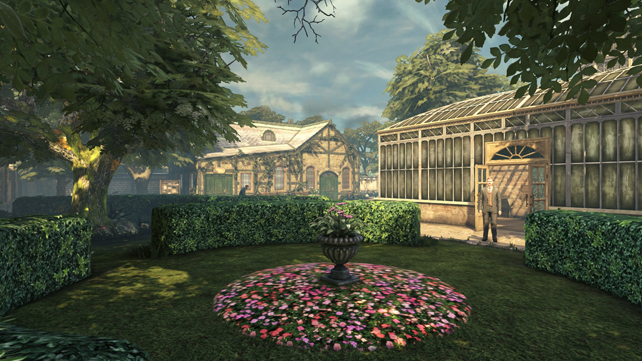 All in all, I’ve enjoyed Sherlock Holmes: Crimes & Punishments. 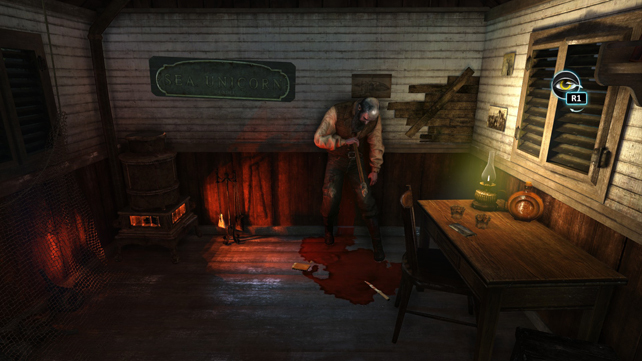 It’s a little rough around the edges at times; some of the cases feel like they can be solved in the first cutscene, though your supposition at that point will probably be proved wrong later on; and it will always make sure that you can’t get stuck, which removes some of the challenge (and frustration). It’s a gentle, methodical game at a time where most things are about instant gratification and ultra fast delivery of content to your eyes. If you’ve got A.D.D. then give it a miss, but if you’re in the market for something different to the influx of big budget blockbusters we see in the last quarter of every year, then consider picking this up. 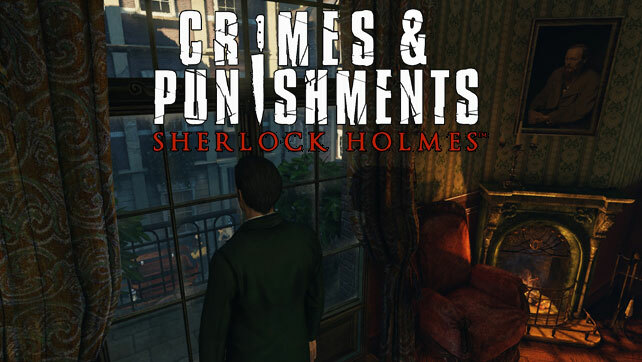 A review copy of Sherlock Holmes: Crimes & Punishments was provided by the Focus Home Entertainment PR team. The game is available now on PlayStation 3, PlayStation 4, Xbox 360, Xbox One and PC in the US, and will release in the EU on the 3rd October.